This is a very important stage as it helps your child get ready for school as well as preparing them for their future learning and successes. From when your child is born up until the age of 5, their early years experience should be happy, active, exciting, fun and secure; and supportive of their development, care and learning needs. What does it mean for you as a parent? 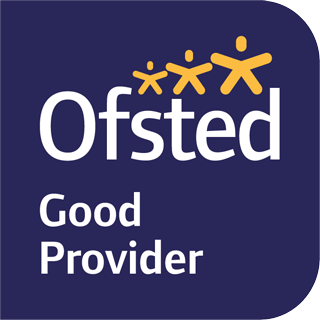 You can find out about the quality of Holly House private Day Nursery in relation to the EYFS Framework by checking what the Government’s official inspection body for early years, Ofsted, has to say about it. You can find this information here. As a mum or dad, how can you help with your child’s learning? If you’re looking for new ideas for things to do then find out what is on offer at your local children’s centre. Many offer ‘messy play’ activities which you and your child can join in with, and many of the activities they provide are free. Staff can also give you advice about the kinds of books or other activities your child might enjoy at different ages. How can you find out how your child is getting on? You should be able to get information about your child’s development at any time and, there are two stages (at age two, and again at age five) when the professionals caring for your child must give you written information about how he or she is doing. When your child is two years old. This is called the progress check at age two. When your child is five years old. Where can you go for further information? The most important place to find out more is at Holly House – do ask as many questions as you need to. We really do welcome speaking with you. 4Children have produced a fantastic document called ‘What to expect, when’ the purpose of the booklet is to help you find out more about how your child is learning and developing during their first five years, in relation to the EYFS. The Foundation Years website also includes a range of resources and contacts. You may re-use this information (excluding logos) free of charge in any format or medium, under the terms of the Open Government Licence.